Kanye West’s The Life of Pablo is an attack on the very idea of the album. Has Kanye West turned against his once-favorite art form? Photo illustration by Lisa Larson-Walker. Photo by Dana Edelson/NBC/NBCU Photo Bank via Getty Images. At the time of this writing, Kanye West is still fixing “Wolves,” and it’s unclear when, or whether, he’ll ever be done. 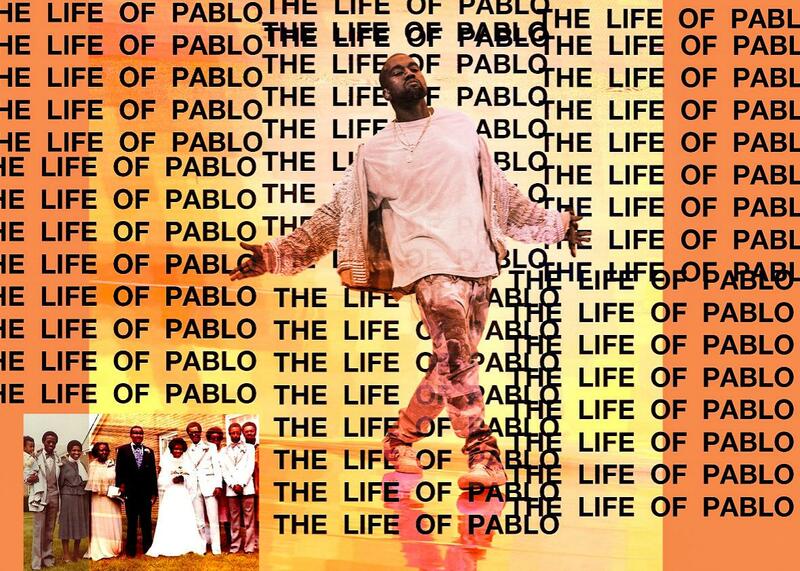 As you may have heard, the past week (at least) has seen the ongoing rollout of West’s seventh solo album, The Life of Pablo, a sprawling, flummoxing, gorgeous piece of work. It is, as my colleague Carl Wilson puts it, “miraculous,” and like many miracles it prompts the question: Is it even real? The life of The Life of Pablo, so far: On Jan. 8, after months of teases and already one name change (from So Help Me God to Swish), West tweeted that his new album would be released on Feb. 11. Later in the month, it was confirmed that the album would be unveiled during the presentation of West’s Yeezy Season 3 fashion line, via global simulcast. On Jan. 26, West announced that he’d once again given his album a new title, Waves. He began posting photographs of an ever-evolving piece of notebook paper, a track list in constant revision adorned with a growing collection of autographs from collaborators, like the world’s most impressive high school yearbook page. Then he changed the title again, to The Life of Pablo, a day before the album’s release, and a “final” track list was revealed, 10 songs long. Feb. 11 came, and The Life of Pablo debuted but didn’t come out, which sounds like an oxymoron: It was played at Yeezy Season 3 but wasn’t released to iTunes, Spotify, Tidal, or stores. It did, at least, get some official album art—before West tweeted “Another Cover” later the same evening. (It remains unclear which is the final artwork: Tidal is using one cover on its home page and the other on the album’s page.) The track list changed, too: First, it expanded by “a couple tracks,” which is apparently Yeezy-speak for swelling from 10 to 17. Later that night, it jumped to 18, as he added “Waves,” at the behest of fellow Chi-town deity Chance the Rapper (praise be to Chance, for this and all other things). Everything in the above two paragraphs has caused a lot of consternation, and Pablo’s rollout has been described as disastrous if not worse, more evidence of Kanye’s deteriorating social graces, or mental state. But I’m not sure that’s the only story. Last month, just a few days after Swish became Waves, New York’s Lindsay Zoladz wrote a review of Rihanna’s Anti in which she speculated that we might be witnessing “the beginning of the end of something we’ve been watching in slow motion for a very long time now: the death of the Big Album as a pop star’s primary means of expression.” In an aside, Zoladz mentioned West’s forthcoming album as another potential looming nail in this coffin, a prediction that now resounds as both prescient and understated. The Life of Pablo is starting to feel like a full-scale attack on the very ontology of the album itself: its primacy in the music industry’s sales model, its status as the foremost object of music criticism, its presumed value as the supreme container for artistic expression, its existential legitimacy as anything other than a nostalgia-driven anachronism. As long as Kanye West is fixing “Wolves,” The Life of Pablo is never finished. As long as The Life of Pablo resides only on Tidal, as an inherently ephemeral form to be revised, added to, and subtracted from at its creator’s continual behest, it’s never quite the real thing. We might say that Pablo’s life hasn’t begun, but we might also say that Pablo’s life is currently infinite. And yet his original plan for the Yeezus artwork had been something different, something closer to what we’ve seen with The Life of Pablo. 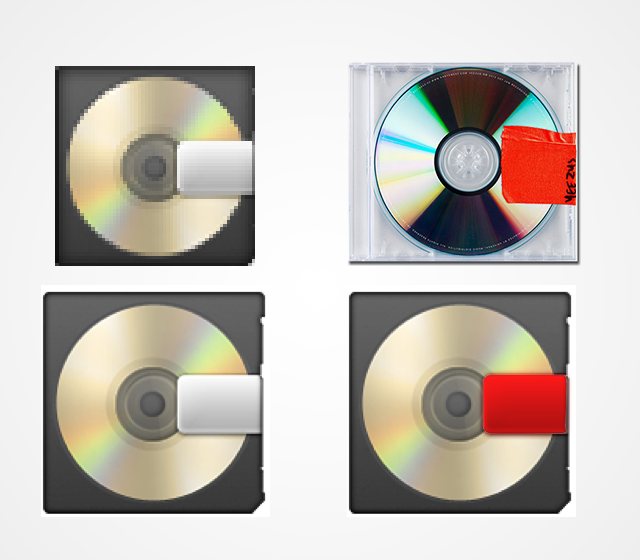 Initially, West wanted the Yeezus cover to be “the first moving GIF on iTunes.” This didn’t happen, but its final design did seem to gesture not just backward, to the death of the CD, but forward to the cloud-based future: As many fans soon noticed, Yeezus’ presentation was in fact part austerity, and part emoji. The Life of Pablo’s album art isn’t a GIF (yet! ), but it feels similarly designed to be memed across the Internet: Cover generator sites like TheLifeOfPablol.com sprung up within hours of the artwork’s debut, allowing anyone to design their own riff on the basic template offered up by the artwork. Even the album title itself seemed less like the final word than the latest in a series of questions. First, West announced that the album title’s initials were TLOP, asking fans to guess what they stood for, for free tickets and a pair of Yeezys. Then, when the name was finally confirmed, the follow-up question was raised right on its next cover: Which one? In a lot of ways The Life of Pablo is a work in its creator’s own current image: combustible, maddening, elusive, brilliant. But it also highlights the relative arbitrariness of the album-as-form, which isn’t the be-all, end-all of recorded music its celebrants often want to believe it is. The term derives from a packaging gimmick devised to move 78 RPM records by the bundle (the sleeves were bound together like a photo album); the 33 1/3 RPM long-playing record (LP) didn’t emerge until the late 1940s, and it wasn’t until the mid-to-late 1960s that young pop audiences began taking it as an object of reverence. In years since, we’ve internalized a belief that the album—first the LP, then the CD, now a bundled playlist on iTunes or Spotify adorned with a JPEG file—is to music what the novel is to literature, the taken-for-granted benchmark of artistic validity. They’re consensus objects of prestige and critical evaluation as well as a lucrative profit centers for the music business, or at least they were until recently. Vinyl LPs were at least interesting artifacts, sturdy and square with cover art and gatefolds and both a tactile and audible richness. CDs were cheap to make, and while aesthetically uninspiring, at least they were physical containers. Now albums are prearranged folders on hard drives and cloud servers. Why might Kanye West be out to destroy the album, to shatter its increasingly fragile illusion? After all, West is the greatest album artist of his generation: In the past 12 years, he’s released seven full-lengths under his name, nearly all of which have been hailed as masterpieces (not least by Yeezy himself). The one that was the least well-received at the time of its release, 808s and Heartbreak—by no means panned, but greeted as an experimental curiosity—might be the most influential pop album of the past 10 years. This is a staggering body of work, by almost any measure. Almost any. Kanye has an ongoing adversarial relationship to the Grammys—the recording industry’s self-affirming prestige factory—that many people find unseemly. (Remember what happened after Beyoncé lost Album of the Year to Beck?) But here is a guy who’s been nominated for Album of the Year three times (2005, 2006, and 2008) and lost to, respectively: an album of duets with Ray Charles, who was dead; a U2 album no one remembers; and a Herbie Hancock tribute to Joni Mitchell that had sold fewer than 100,000 copies. West’s previous two albums, 2010’s My Beautiful Dark Twisted Fantasy and 2013’s Yeezus, failed to even be nominated, despite near-universal critical acclaim (both works placed atop the Village Voice’s annual Pazz & Jop critics’ poll, a list West has topped more times than anyone except Bob Dylan). The cult of the album in the rock ’n’ roll era has a long and diffuse history, but it initially coalesces most prominently around the Beatles’ Sgt. Pepper’s Lonely Hearts Club Band, the first major pop album to be released without a single and the first rock ’n’ roll album to win Album of the Year at the Grammys. The Beatles were great; they were also white, and in the years since both the resources for making albums and the accolades bestowed upon them have disproportionately gone to white artists, a disparity partly due to racist beliefs about the purchasing habits of black audiences and partly due to racist beliefs that black popular music is a disposable commodity before it’s art. The Grammys’ track record on hip-hop is particularly appalling: Hip-hop artists have won Album of the Year only twice, and the most recent time was 12 years ago. Kanye West knows this, all too well. In a 2013 interview with the New York Times, he pointed out that he has the most Grammys anyone his age has ever had, but nearly all of his wins have come against other black artists. My Beautiful Dark Twisted Fantasy, had it even been nominated, would have lost to Adele’s 21, a washed-out Xerox of ’60s soul, which of course the Grammys mostly ignored in its original form (the first black artist to win Album of the Year was Stevie Wonder, in 1974). If The Life of Pablo manages to secure West’s fourth Album of the Year nomination, at this time next year it’ll go up against Adele’s 25, and Kanye will lose again. But that’s only if he finishes it; that’s only if he fixes “Wolves.” Until then, long live the life of The Life of Pablo, and may he always find something wrong. Read more in Slate about Kanye West.